Renowned Chinese director Guo Baochang introduces the North American premiere of his “conceptual, multimedia” Peking Opera film Dream of the Bridal Chamber (Chungui meng). 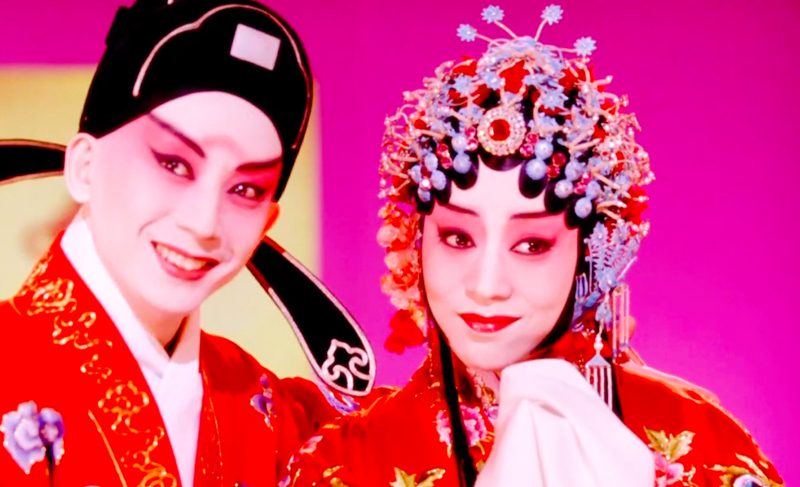 Created in 2005 but suppressed when it fell afoul of the censors, the film is an adaptation of an antiwar Peking Opera created in 1925 for stars Cheng Yanqiu and Yu Zhenfei about newlyweds who are forcibly separated after only three days when the husband is conscripted. Guo’s radical reinterpretation, which he also cowrote, is gorgeously shot with heavily saturated colors by cinematographer Hou Yong. Showcasing the multiple attractions of Peking Opera, the film blurs the boundaries between stage and cinema, dream and reality, history and fantasy. Part of the conference Connecting the Dots Through Guo Baochang: Contemporary Chinese Opera, Film, TV, Feb. 21-23. Co-sponsored by the Department of East Asian Languages and Civilizations, the Department of Cinema and Media Studies, the Franke Institute for the Humanities, UChicago Arts, the Committee on Theater and Performance Studies, the Department of Music, and the Center for East Asian Studies with support from a Title VI National Resource Center Grant from the U.S. Department of Education.